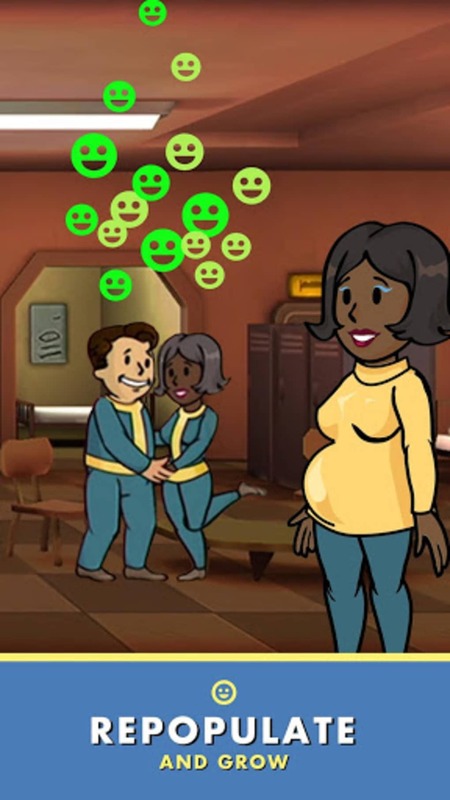 Fallout Shelter is a great little resource management game to play while waiting for the November 10th, 2015 release of Fallout 4. 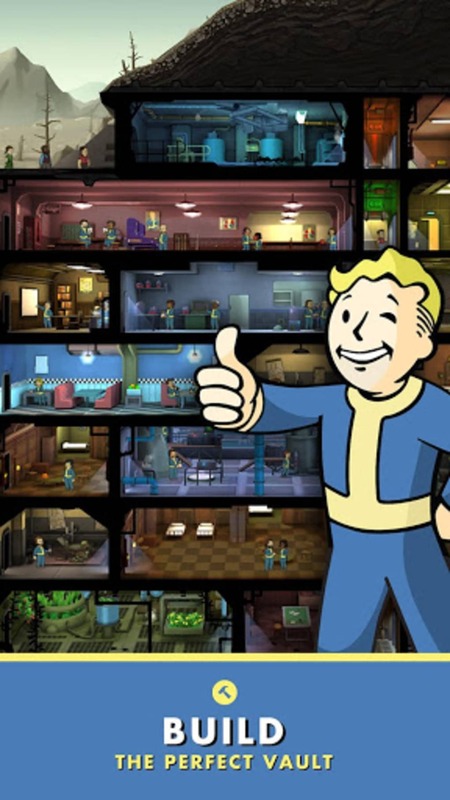 You have to manage the life of one of the underground Vaults where humanity is hiding out while waiting for the effects of a nuclear holocaust to subside. 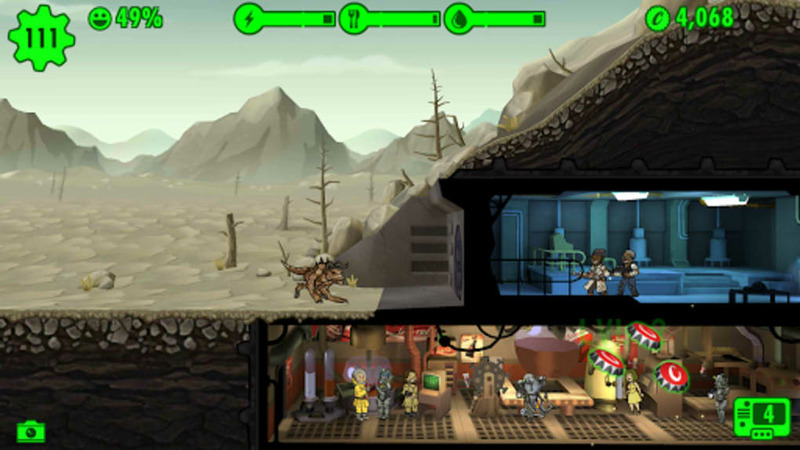 Fallout Shelter is free to download and play, and also features optional micropayments. A free app for Android, by Joy Blitz Game. 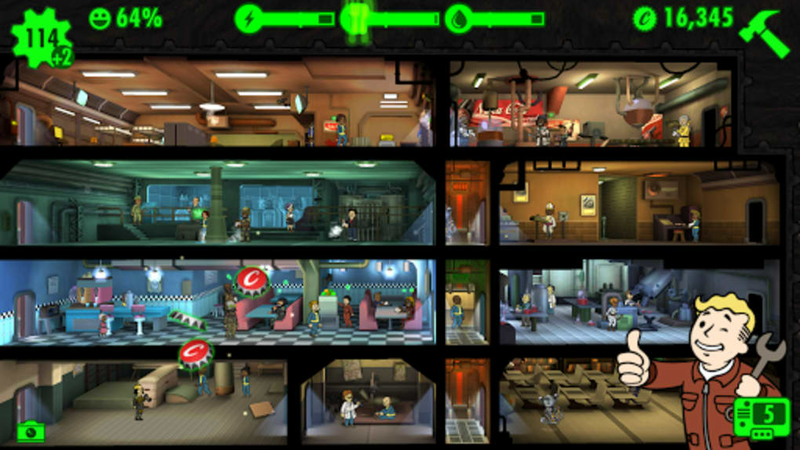 Your job in Fallout Shelter is to manage the lives of your Vault's inhabitants. 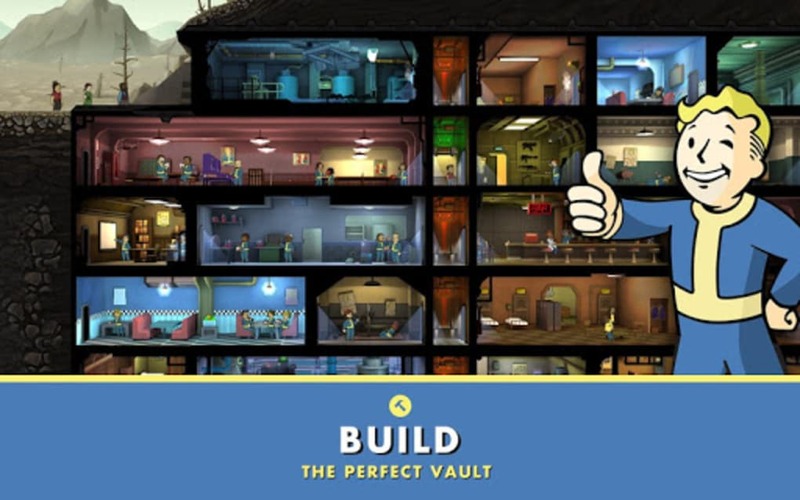 You allocate tasks so the Vault will have the resources it needs to survive. 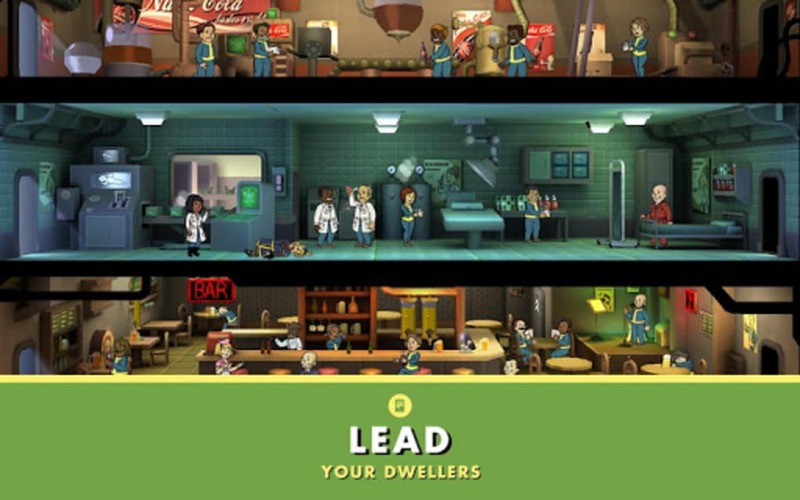 Gradually you'll be able to expand the size and facilities of your vault, hopefully making it a better place to live for your survivors. 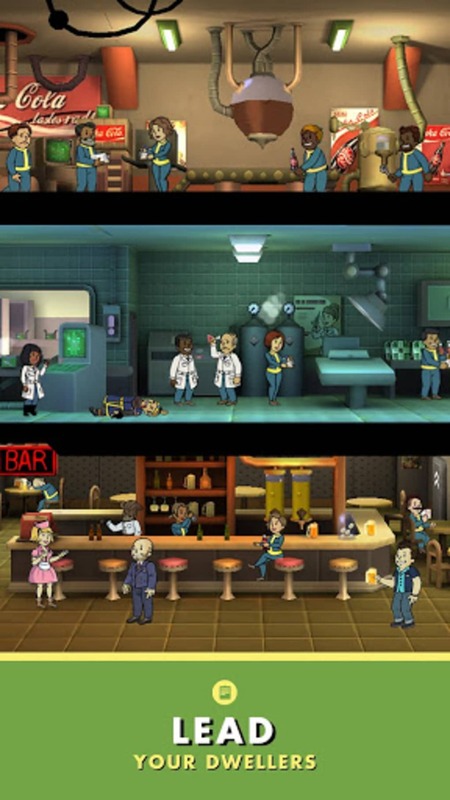 People will wait outside your Vault, to be housed in rooms as you create them. Make sure you always have enough power for all the rooms, or they will shut down and become uninhabitable. It's easy to play, but compelling. 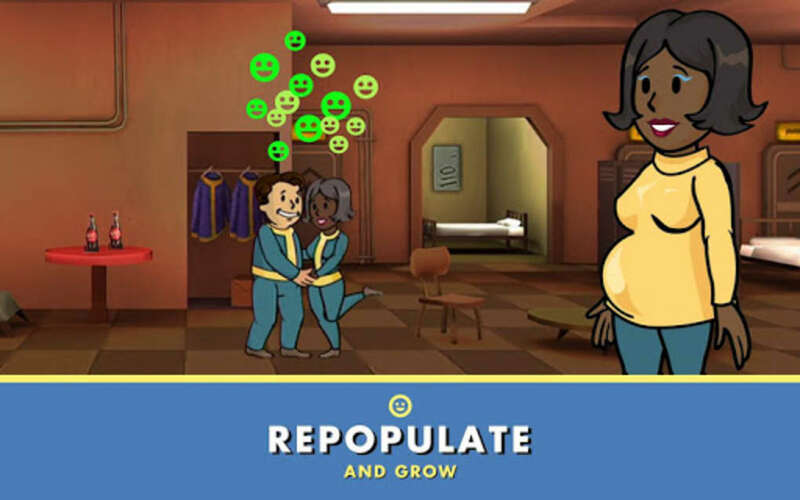 As your population works, you tap on their location to collect the resources they create. 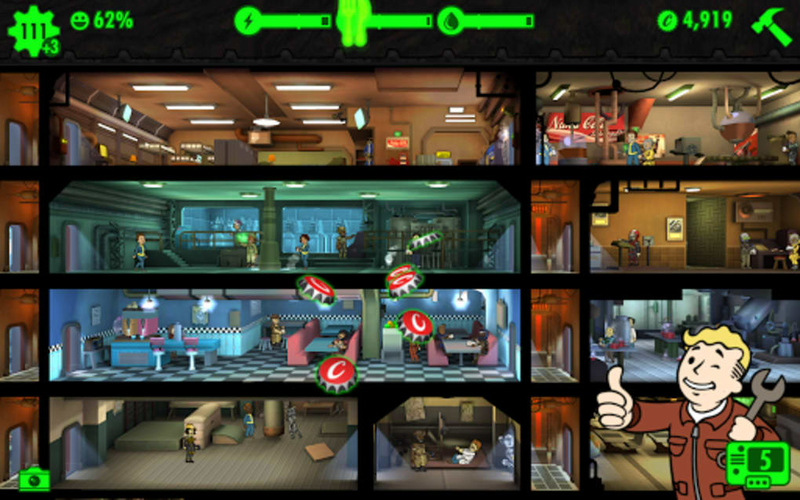 Tension and risk are what makes Fallout Shelter stand out from the competition. 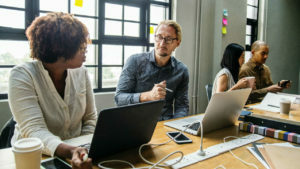 Your resources keep dwindling, so you're under constant pressure to make sure your people are working well. 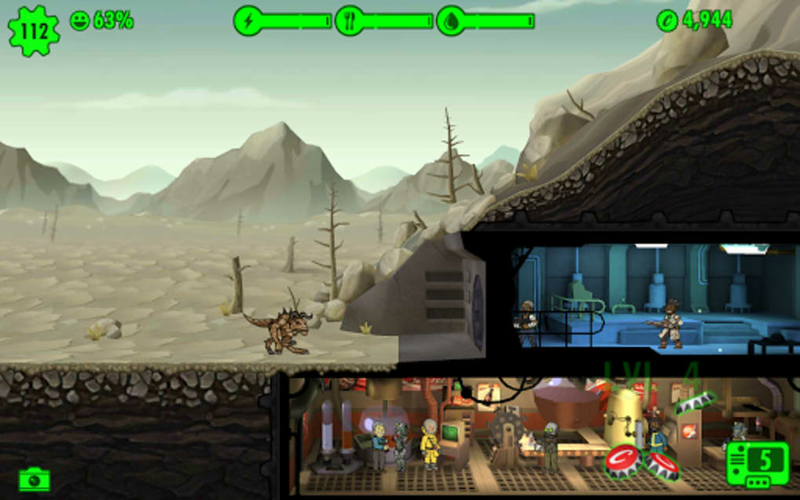 You have to wait to earn in game currency that you can spend on improving the Vault, but you can choose to take a risk to hurry things along. 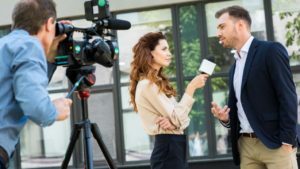 Taking a risk could go well, or it could result in a fire or infestation, yet another problem you'll have to solve. You can also buy lunch boxes with real money, which will give you more resources too, and help speed up your progress. 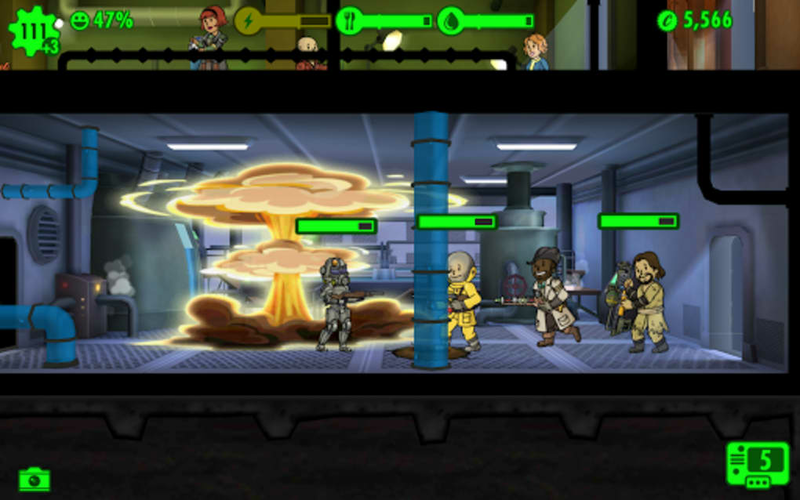 If you're impatient, you may find the waiting aspect of Fallout Shelter too much. 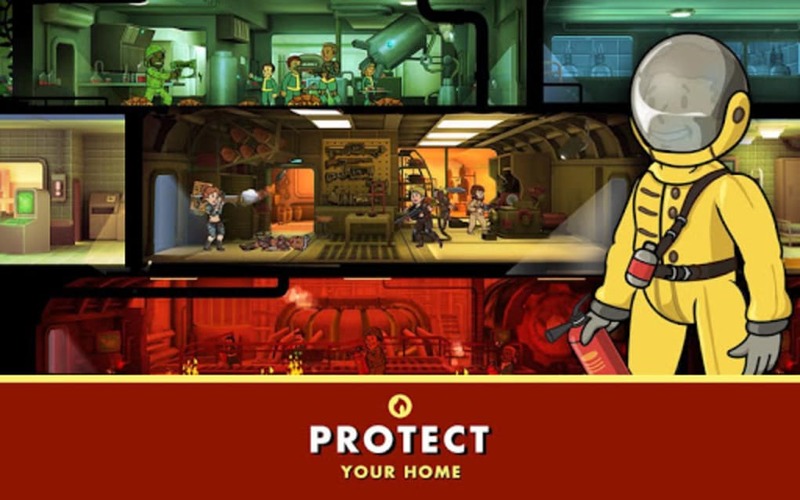 Another great thing about Fallout Shelter are its graphics. 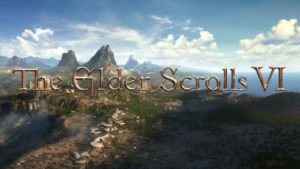 Unlike many free to play games, it looks really great, with lots of nice touches and a great deal of atmosphere. 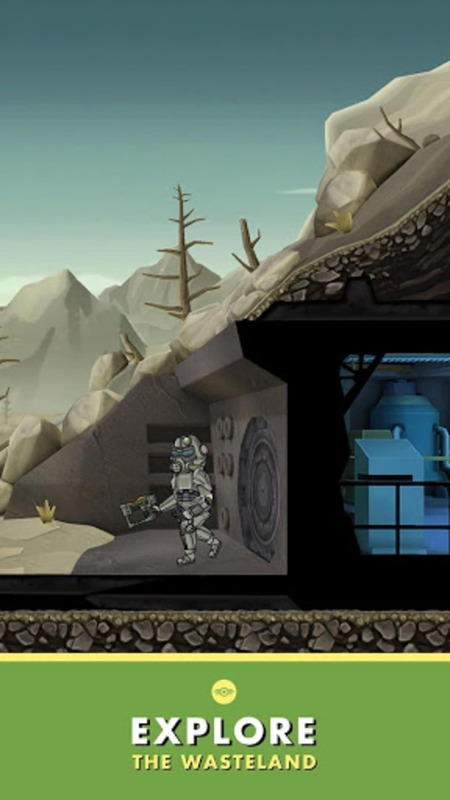 Even if you have no idea about the Fallout franchise, Fallout Shelter is a lot of fun. 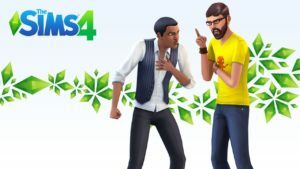 You won't feel forced to pay for anything, and the quality and care that the developer has put into the game is clear. 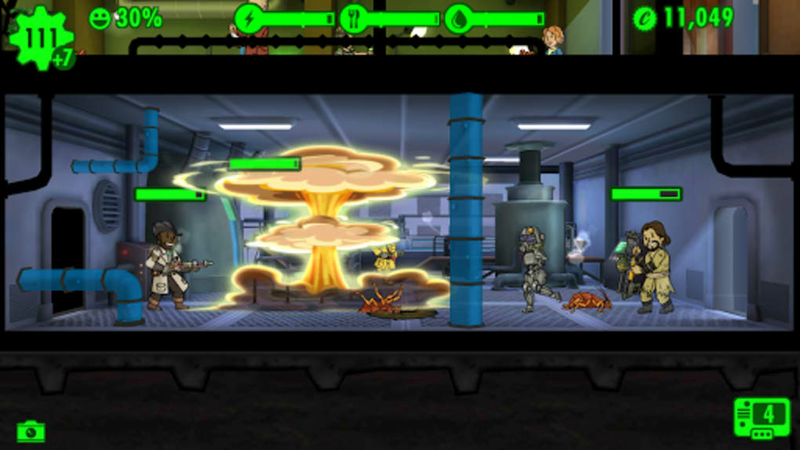 Fallout Shelter doesn't do anything radically new, but it does everything well. 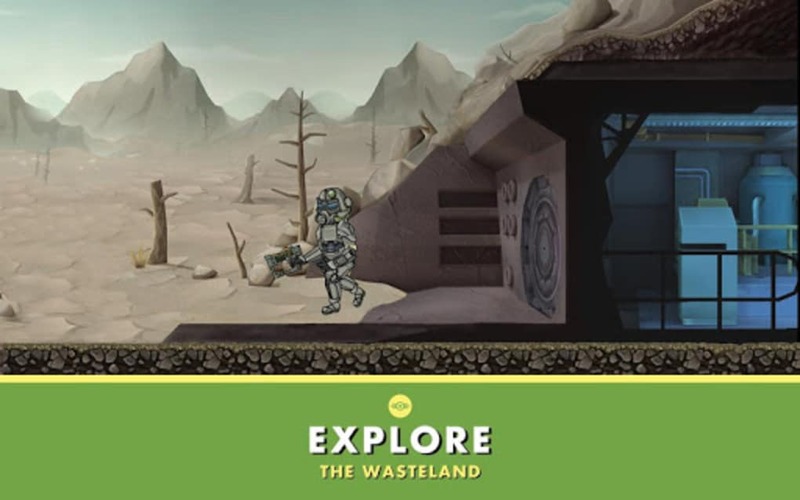 Highly recommended for Fallout fans and anyone who enjoys resource management games. 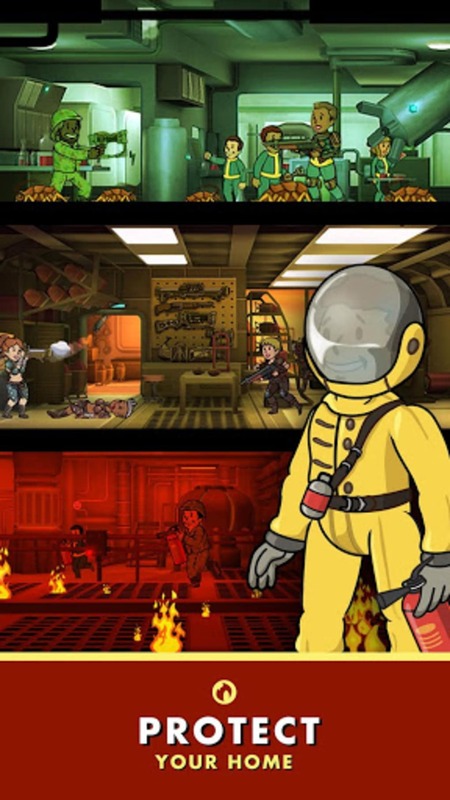 What do you think about Fallout Shelter? Do you recommend it? Why?